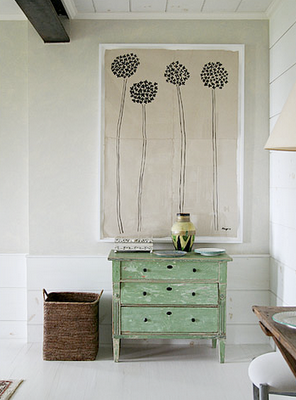 Over the years, we've collected several pieces of art that we really love. As we've had to move every year, and have been on a small budget, almost everything has been 8x10" or smaller. 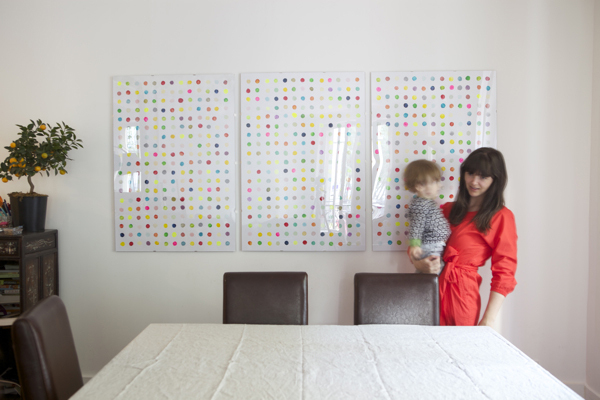 Now, looking for a way to fill our ginormous living room wall, our pint-size frames simply aren't cutting it. Still on a budget, though, and with giant paintings not coming cheap, I've decided to create the art myself. These are a few ideas, none of which I've committed to yet, which all look beautiful and make-it-yourself-able. 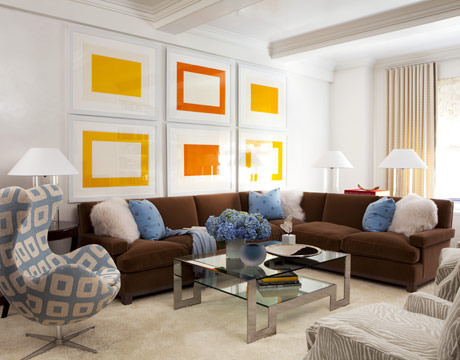 Colour Blocks via Apartment Therapy. Modern art, simply by framing layered pieces of paper. Striped Panels by 4 Men 1 Lady. Though the colours here aren't my cup of tea (a little too green tea), I'm imagining that in red, yellow and orange this would look rather Kate Spade. 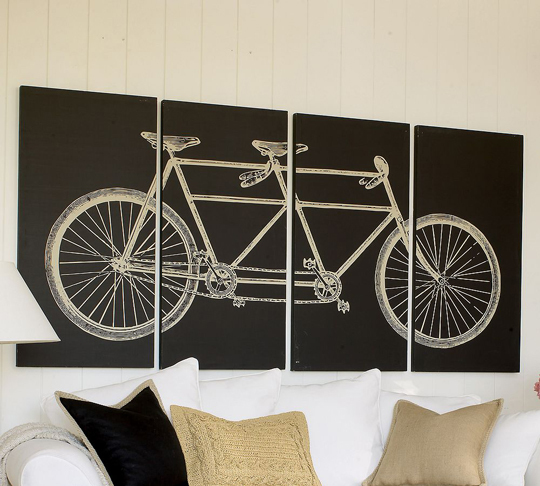 Tandem Canvas via Apartment Therapy. What's cheaper than one giant canvas? 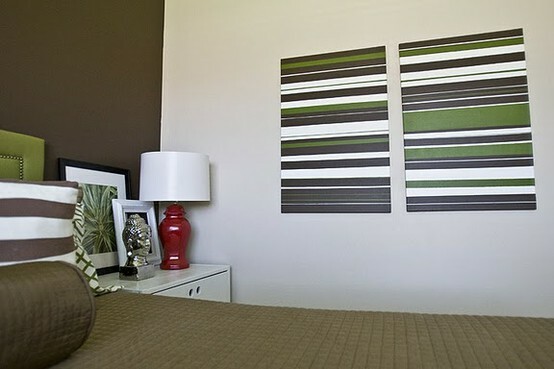 Four small canvases hung next to each other. Potato Print Dots by Oh Happy Day. This idea can actually be done with the kiddos -- potato prints and dots. Plus, she shares her secret of cheap framing. 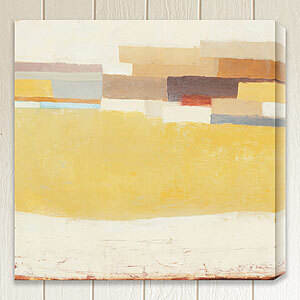 Golden Mesa I by Sean Jacobs. This one isn't really a DIY-- it's an actual piece of art from World Market. But it looks easy, doesn't it. Deceptively easy? Probably. Sun Shower by Today's Nest. 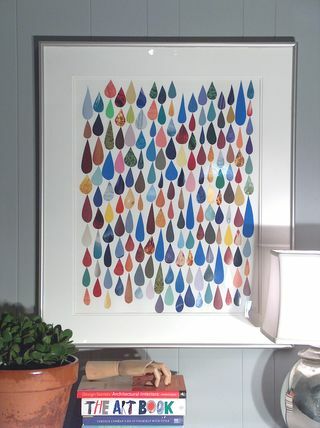 A collage of droplets, which could be made it any colour scheme. I love the idea of using a bunch of different papers -- anything from birthday cards to junk mail could lend itself to this. Four flowers via Decorno. This is my favourite right now, but again, not really a DIY, just art that I'm wondering if I could knock off. What is it -- framed paper? Canvas? I can't tell. But I love it, nonetheless. Giant Portrait via Pinterest. Can I please live here, please? That giant portrait peeking through the doorway is just so clever. Can I make it? No. But look closer -- can you see the painting of a dog with a fish bowl for a head? It totally reminds me of Justin's birthday card to Tilly -- her head on a dog's body! We could paint that one, I think. So, what do you think -- do any of these ideas seem do-able? Or perhaps you've got other ways of filling up giant walls that you'd like to share -- please do, we're all ears! I love all your ideas! Can't wait to see what you decide on. I've clicked over to the tutorial on making abstract art, might have to give that a go. 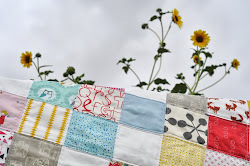 I really like the bicycle and sun shower…here in Germany I have seen a simple canvas display, made out of Marimekko fabric stretched over a canvas. Marimekko has some big, bold prints and it looked really nice. Oooh, yes, IKEA prints and Marimekko are definitely in the running for some wall space! 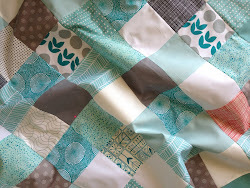 Can't wait to see your fabric stretching results, Jodie, and your abstract art, Jadyn!